Invisible sleuths, whether hidden, inconspicuous, discounted or vulnerable for any number of reasons, have advantages with an investigation. As others disregard their presence, the invisible sleuth - so often women - can quietly observe a scene. If confident, the invisible sleuth can form her own independent analysis without undue influence from others. James Lincoln Warren, far left, drew out these contradictory qualities as moderator of the panel "The Invisible Woman: Sleuths Who Hide in Plain Sight" at Malice Domestic 2013. Two of the sleuths yearn for literacy - and the other two are quite skilled but marginalized. Such sleuths often earn respect from those outside their immediate environment where their abilities are taken for granted. 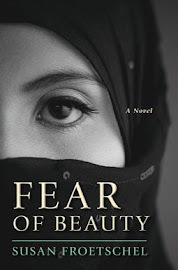 In Fear of Beauty, Sofi has little choice but to be invisible. Her community depends on power, hierarchy, outspoken religious devotion and secrecy rather than the rule of law. Illiteracy compounds the horrific effects of bullying. 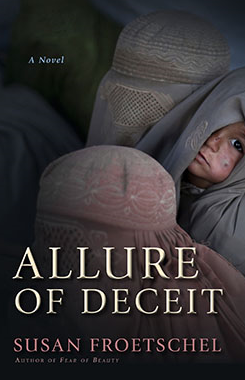 In Afghanistan, women do not have equal standing to men, and Sofi must keep her ambitions, opinions and suspicions to herself. She is a progressive in a true sense - wanting to improve her community for her children - while others see power and safety in maintaining the status quo. But of course, she must work in secret or otherwise put her family at risk. Lucy Campion in A Murder at Rosamund's Gate by Susanna Calkins (red sweater) is a chambermaid in a magistrate's household in 17th-century England. Like Sofi of Fear of Beauty, Lucy cannot forcefully protest the accepted assumptions about women, as voiced by a religious leader in her community: "Woman is a weak creature, not endued with the like strength and constancy of mind as men. They are prone to all manner of weak affectations and dispositions of mind..." Of course, Lucy's character and her own experiences defy such broad pronouncements. Daniel Stashower's book, The Hour of Peril, is a nonfiction historical study and focuses on Allan Pinkerton, the methodical investigator who uncovers and disrupts a conspiracy to assassinate Abraham Lincoln in February 1861. The panel focused less on Pinkerton, himself a fascinating character of American history, and more on widow and assistant Kate Warne. Of all the invisible sleuths, Warne probably has the most choice and control, as well as respect from her peers. Joining the Pinkerton team in her early 20s, she became known as the first female detective - and as such was invisible to others during the course of the investigation, capable of passing herself off as woman from Alabama, collecting intelligence from Baltimore women who are Confederate sympathizers, and passing along secret correspondence between investigators and Lincoln's staff. The Loser series by Peg Herring (turquoise), including Killing Silence and Killing Memories, features a homeless woman who barely speaks and does odd jobs in exchange for food, while watching the world pass her by on the streets of Richmond, Virginia. "People have rules different from mine, and they make judgments based on those rules." Escaping what must be a troubled past, the woman tries to keep her mind clear of thoughts, but of course that is not easy. "Thinking of nothing worked for a while, but the mind has a mind of its own." By shedding personal possessions and attachments, Loser can determine who appreciates her for what she is willing to share. The invisible sleuths in each of these books offer comment on social problems of each time period and location. Each woman has her own way of handling the very old process of globalization and the spread of new ideas and ways of thinking. With every century and technological innovation, globalization gains greater speed, followed by the outpouring of praise and condemnation. Individuals, especially the curious and aware, are open to new ideas and immediately decide which may work best for them. Others who fear change and shifting power resist these protagonists' observations. Four very different protagonists and stories, yet James Lincoln Warren tied them together with his thoughtful questions in remarkable ways. 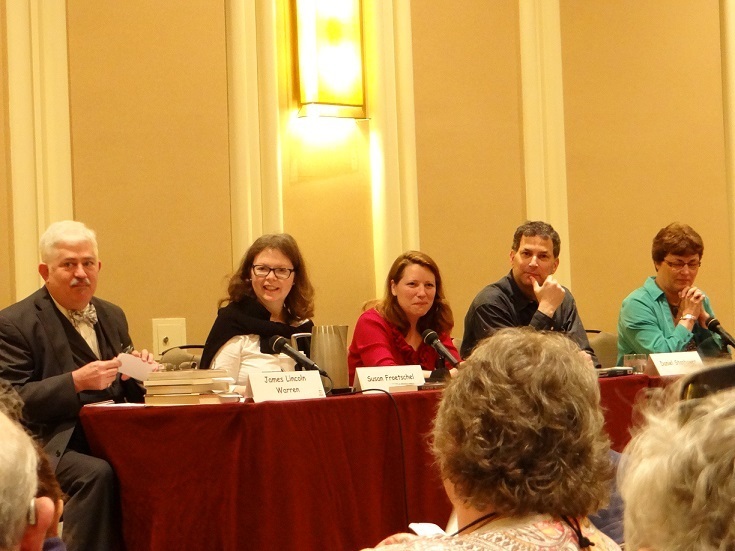 Malice Domestic ranks high among my favorite mystery conferences.